We’re particularly lucky here in the UK that we’re surrounded by so much countryside. Swaths of it reach from county to county and hidden away amongst the hills, farms and woodlands are unique wedding venues waiting to be discovered. From converted barns to country houses, we’ve searched for the very best and beautiful venues surrounded by the countryside. Here are just a few of our absolute favourites! 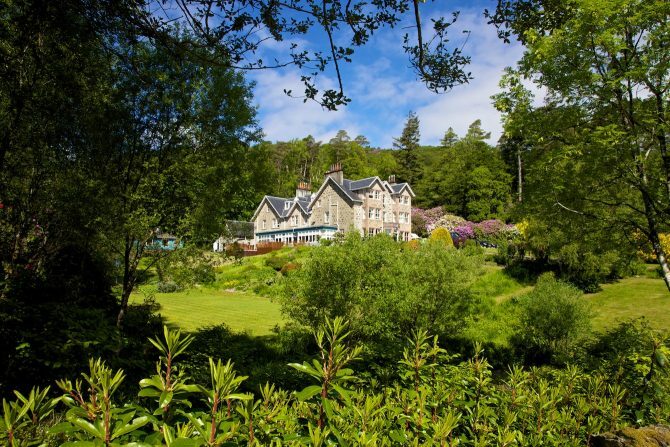 Nestled in the heart of the Scottish Highlands, The Lovat Hotel Loch Ness is a beautiful Victorian building, with an idyllic backdrop of Loch Ness. This is the only 4-star hotel in the area, so you and your guests will experience a luxurious stay. The team are on hand to guide you through the planning stages with suggestions of the best photographers, flowers, catering and chauffeurs. Your ceremony can take place in a space of your choice. You can opt for the Drawing Room, Dining Room or weather dependent, their manicured lawn. You can even choose to host your ceremony at a nearby historic castle and return to The Lovat for your reception. The food will undoubtedly be excellent as the restaurant is spearheaded by award-winning chef Sean Kelly. Having worked across the globe in some of the finest Michelin star restaurants, his distinctive and innovative cooking will make any celebration one to remember. Conscious of championing local suppliers, Sean’s menus are inspired by what is in season and local to the area and he will work with you to create your perfect menu. The hotel boasts 28 bedrooms which are perfect for guests travelling from afar. 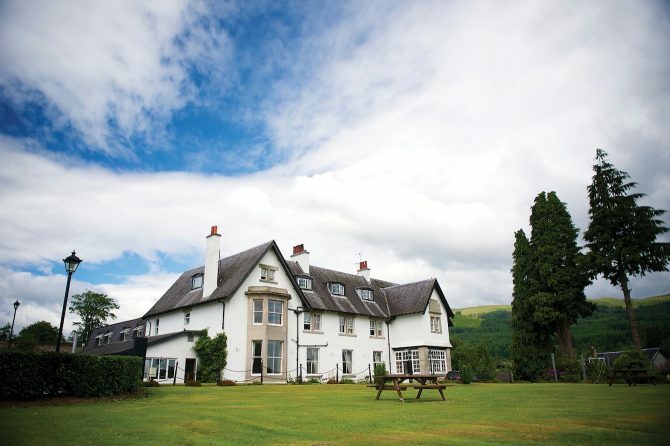 Many of the rooms have stunning views over the surrounding hills, village and towards Loch Ness. There are 5 different room categories to choose to suit all different tastes. Whether you opt for the super deluxe rooms or the garden rooms, you’ll still receive luxury 4-star comfort. If you’re seeking that mix of modern and old, Primrose Hill Farm may be perfect for your special day. Combining a contemporary barn and Grade II listed farmhouse nestled in rural Oxfordshire, only overlooked by the countryside and grazing farmyard animals. This venue is new for 2019 and we bet it’s going to be popular very quickly! Primrose Hill Farm welcomes guests year-round to experience an intimate wedding in this new sophisticated and spacious scenic setting. As this is set on a cherished family farm, you will receive the personal touch throughout planning your wedding. A tailor-made service right from the first visit, all the way till you leave as newlyweds. The former hay barns are the heart of the farm at this unique venue. These have been creatively converted into contemporary and flexible spaces. Perfect for both intimate and larger celebrations. Surrounding the brans are open spaces with lawns, orchards, a farm courtyard and trout pond. So many beautiful backdrops for photographs! Passionate about food, the kitchen team provides a carefully curated menu of responsibly sourced, British dishes inspired by the farm’s rural location and the bounty of produce available on the doorstep. The team will work with you to create a menu which you and your guests will adore. After a day full of celebrating, head back to the exquisite Georgian Farmhouse which is just a short wander across the courtyard from the Farm Barns. There are five ensuite bedrooms, accommodating for up to 10 guests, together with a dining room and drawing room. 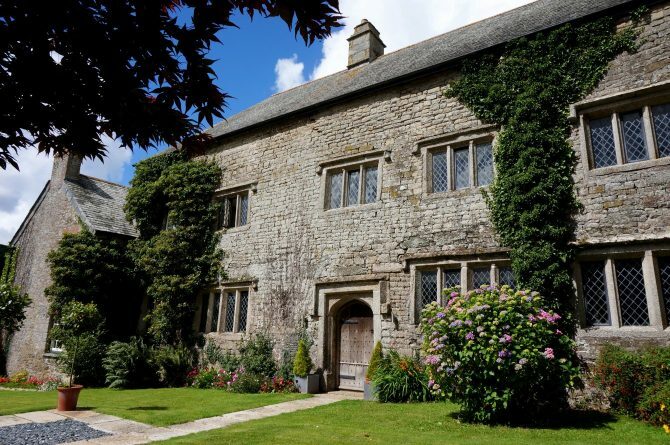 If your dream is a wedding in the countryside, Pengenna Manor is a must-visit. It’s an idyllic 800-year-old private country home, with landscaped ground perfect for alfresco ceremonies and marquee receptions. 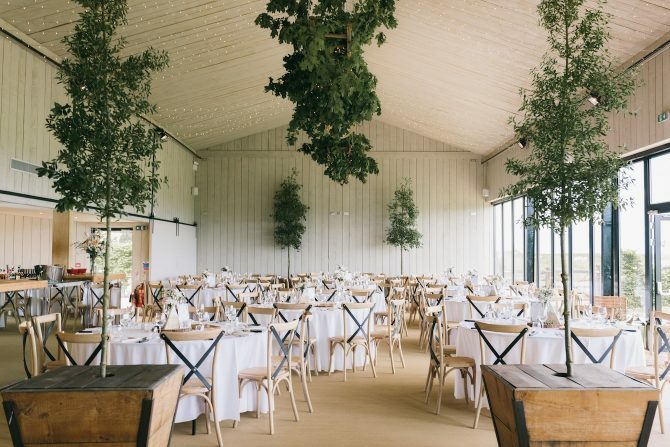 Opened earlier this year is a stunning new events space, The Cowyard Barn. This is a beautiful 200-year-old former cow shed that has been lovingly converted into a unique rustic space and perfect for up to 100 guests. Flooded with light, it’s a great place to say “I do” or to host your wedding breakfast. This space is left blank so you can decorate exactly how you dream of. For weddings up to 350 guests, Pengenna Manor works with six marquee suppliers that can provide a bespoke space for your special day. 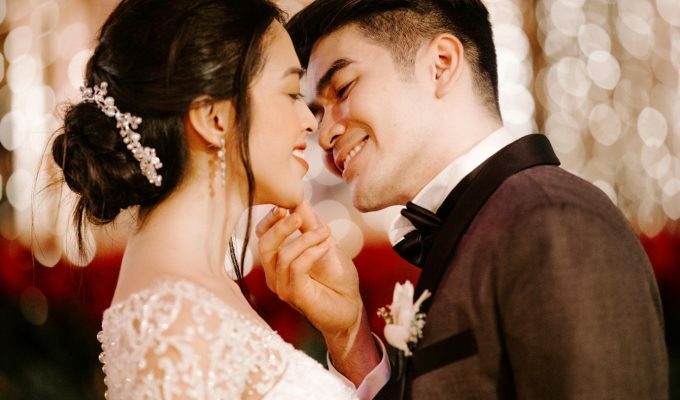 With so many different styles available, you can make your special day completely unique. If guests travelling afar, there are three on-site accommodation options to retire too after a day of celebrations. The Manor features four bedrooms, including the exquisite Bridal Suite. Just a 5-minute walk from the Manor is Watergate. Formerly 3 miners cottage, this has been loving renovated with four bedrooms. 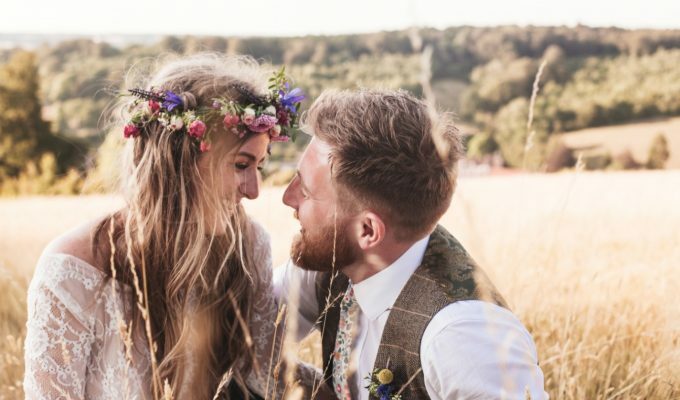 Alternatively, if you and your guests like camping, there are two and a half acres of river meadows which is the ideal space for a mini-festival wedding. Great space for tents, campervans and caravans. Pengenna also works with local companies which can build a little glamping village for your guests to stay or even tents offering beauty treatments and a hot tub. 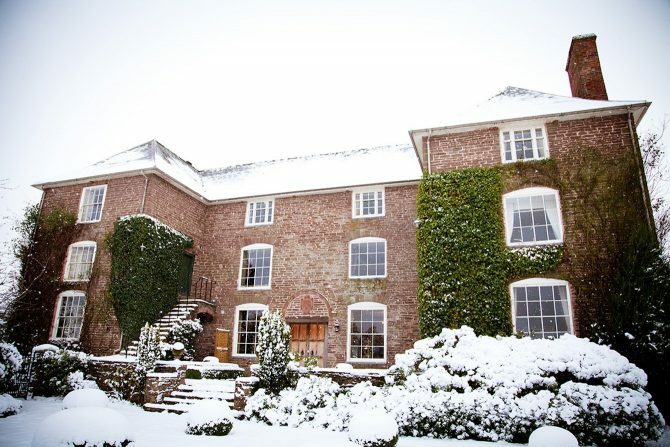 Dewsall Court is a truly enchanting destination for unique weddings and celebrations. The idyllic country retreat provides exclusive use so you can share a true home from home experience with their friends and family. At the heart of Dewsall is an amazing team that specialises in event management and a creative kitchen that delivers delicious, locally sourced food. Nestled within the breathtaking Herefordshire countryside Dewsall Court offers 12 acres of beautiful gardens and grounds, an ancient Church, The Wainhouse a modern barn conversion as well as luxurious accommodation, allowing you to make your wedding your very own. The Estate has a rich history dating back to 1644 when the main house was built and became the birthplace of Dukes, welcomed famous poets and composers and stored important works of art during the war. After falling into disrepair the current owners lovingly spent 10 years restoring it, thoughtfully combining the old with the new. Dewsall Court can host up to 170 guests seated for dinner in the stunning barn and up to 27 guests in the luxurious bedrooms, but the potential is endless. The team look forward to welcoming you and your guests at Dewsall Court. Islands don’t come any more romantic than Skye, and Duisdale House is one of its most magical settings for weddings. Gazing out over the Sound of Sleat to the Knoydart wilderness peninsula, this former hunting lodge is set in extensive mature gardens. Seaside and woodland views offer a stunning range of photo backdrops. Duisdale, a 15-minute drive from the Skye bridge which links the “Misty Isle” with the Scottish mainland, has 18 bedrooms including some with four posters, and a two AA Rosette restaurant specialising in local produce. The house can accommodate up to 60 for a reception but can host “Just the two of us” weddings as well. A disco, live music or firework display can be arranged after the meal. Duisdale House is part of the three hotel Sonas group which also comprises Toravaig (a couple of miles away) and the loch-side Skeabost, near the island’s main town of Portree. 11 acres of beautiful formal gardens surround the historic house of Penshurst Place, creating a botanical crown befitting of the location. 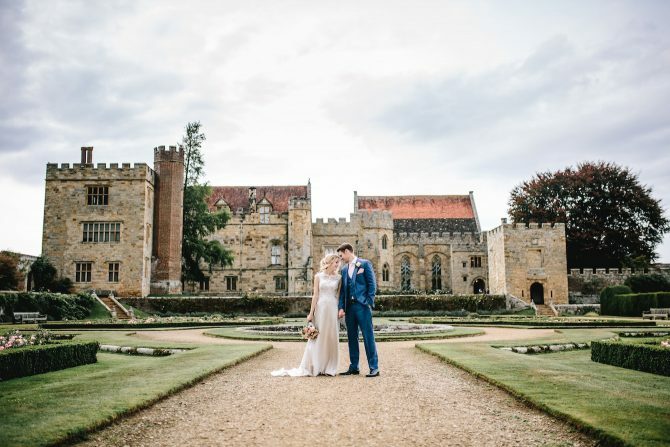 Enclosed by acre upon acre of green hillside, the River Medway and River Eden, and a charming Tudor village, Penshurst Place is a truly unique wedding destination in Kent. Inside, you will discover the medieval Baron’s Hall which was completed in 1341 and features a 60feet high chestnut beamed ceiling and bricked flagstone flooring. Licensed for ceremonies and receptions, this breath-taking room captures the simplicity and beauty of the medieval era allowing you to add your own personal stamp through the colour scheme and decorations for up to 200 ceremony guests, and 136 for seated dining. Upstairs lies the opulent Sunderland Room. Half wooden-panelled and half stone-walled, the Sunderland Room is slightly smaller than the Baron’s Hall and offers a more Elizabethan aesthetic. Licensed for both ceremonies and receptions the Sunderland Room is especially pretty during the festive season, with a large Christmas tree and roaring fire to keep up to 136 ceremony guests and 88 seated dining guests, warm and cosy. If you’re looking to wed in the summer months, you may prefer an outdoor ceremony in the intimate inner courtyard. A beautiful and private garden lined with roses and peonies, where you will speak your vows under a sandstone before enjoying a summertime drinks reception.